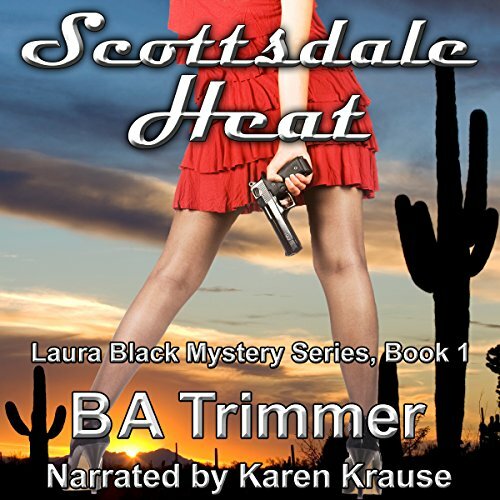 In her first thrilling romantic adventure, Laura Black is an investigator for a highly successful Scottsdale law firm run by slightly shady Lenny Shapiro. She’s hot on the trail of con-man Alexander Sternwood, the missing grandson of wealthy widow, Muffy Sternwood. It sounded like an easy case, at least until she was kidnapped by a couple of upset Russian hit-men named Boris and Ivan, then by two seriously psychotic brothers called Smith and Jones, then finally by Tough Tony DiCenzo, head of the largest crime family in Scottsdale. To top it off, she’s found a dead body that seems to be a message directed toward her. 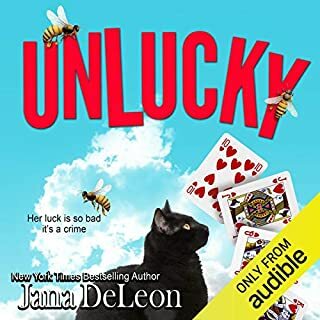 Now, with the help of ex-cop Gina Rondinelli, a stripper named Danica, and her best friend Sophie, Laura needs to make sure that a slightly illegal international jewel sale goes smoothly, or else. All of this pales in comparison, though, with an even greater danger. 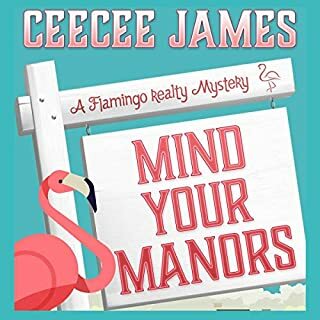 Laura has decided that now would be the perfect time to get back together with her old boyfriend Jackson Reno, who just happens to be a Scottsdale detective. The only hitch in her plans for romance is Maximilian, a gorgeous crime lieutenant who has his sights set on Laura, a feeling that she can’t help but return. Craziness, romance, and more than a little danger are in store when Laura Black and her Scottsdale friends are on the case. ©2013 Saguaro Sky Media Co. (P)2017 Saguaro Sky Media Co.
Take three hilarious and hot women working for a connected lawyer add a wealthy woman with a fool of a grandson, a hot cop, a mob boss, and a dead body or two, and you have this really fun read! Lots of action, suspense, gunshots, and lustful thoughts, but no erotica. A really fun read! Karen Krause gives an interesting audio interpretation. Fast paced and lots of fun! Would you listen to Scottsdale Heat again? Why? I've read the author's Scottsdale stories before and really love them. They are light hearted, humorous, and fun. They've always reminded me of Stephanie Plumb in the way Laura gets into trouble but always manages to come out on top. I like the humor in the books. It goes from subtle to laugh out loud. I can't wait until the next one comes out. At its heart, these are stories of the friendship between Laura, Sophie, Gina, and the people around them. They each approach life in different ways, but each is a good person and acts to bring out the best in each other. Plus, Sophie is hilarious. She seems to have no filter and whatever goes into her head comes right back out her mouth. She's the best part of the books for me. It good to read a story about three modern women trying to find love and survive in Scottsdale. This my first time listening to Karen Krause's narration. I love the way she brings out each characters personalities. I'll definitely go through her catalogue and find other stories she's read. I like that the book was fast paced but not overly deep. It is the kind of book where you can listen to part of it today and part of it tomorrow without having to take notes to remember who is who and who said what. Hurry and put the rest of the series on the site. 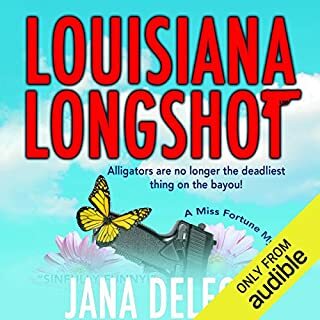 Marvelous characters, never boring police procedural, and a fairly far-fetched but utterly unforeseeable ending, Every sentence pushes the story forward, I listened straight through because the story was riveting. Look forward to more from this. Author. This is a very very complex, intense, edge of your seat, and unpredictable .. 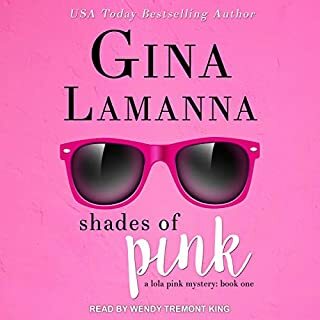 Loved It-- "I was provided this audio book at no charge by the narrator in exchange for an unbiased review via AudiobookBoom dot com". Laura Black is a private investigator working for a local attorney. 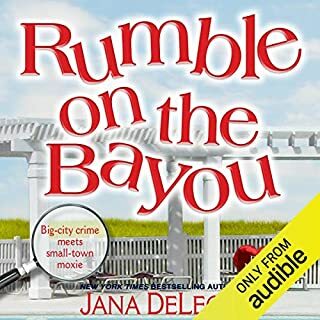 While she is working an assignment to find a wealthy woman's grandson, she becomes mixed up with the mob and the search for their lost money. The story is fun and is the beginning of a great series. I received a free audio version of this book in exchange for an honest review. I thoroughly enjoyed the book and look forward to more in the series. This is my first time listening to this narrator. She does a good job. Has a nice calm tone. She does a good job with each of the characters. This seemingly far-fetched story had me entertained from the first chapter. I loved the snarkiness of the narrator and the over-sexed women, especially Sophie, were a hoot! This was a fun and engaging listen and I would recommend it. I would if only for the funny quips. Laura, Gina and Reno are each entertaining alone, but mix them all together and it's like a confetti filled bomb going off. Despite Laura's overactive imagination on one topic she snarks her way through this action packed story. There is never a dull moment and the twists and turns are enough to keep the interest to the end. A good solid P.I. book. I will listen to others for sure. Both the author and narrator were new to me. I loved the wise cracks in this book. The character Laura Black reminded me of Stephanie Plum. 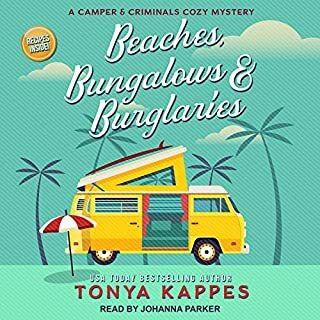 I thought it was a very fun book to listen to and enjoyed the references to areas of Scottsdale. This adventure is total escapism from reality with fun twists and turns. I was voluntarily provided this review copy audiobook at no charge by the author, narrator, and/or publisher. I liked the story very much but was not a fan of the narrator. Almost seemed robotic at times. The story in "Scottsdale Heat" is solid. Laura Black is likable and the cast of characters around her is colorful. The narrator of this particular book doesn't handle different character voices and accents well. Where does Scottsdale Heat rank among all the audiobooks you’ve listened to so far? I think that Laura Black is a very good investigator and if she was a police officer would have quite a high rank. Among the books of this genre that I have read, she would come fairly high on the list. I thoroughly enjoyed this book it was really well written and had a good plot Much of it was extremely amusing and made me laugh a lot. However, there was also a lot that was serious and very exciting as well. There was just enough romance to balance the story out and it fitted in well with everything that was going on. There is also plenty of scope for a series to follow on from here. I am sure it could be really good and expand on the themes already set in this first book.